The 50 sqm Special Deluxe Room is a room on the 4th floor that has a mixture of modern and tropical design, with an ambience that is exclusive and stylish. 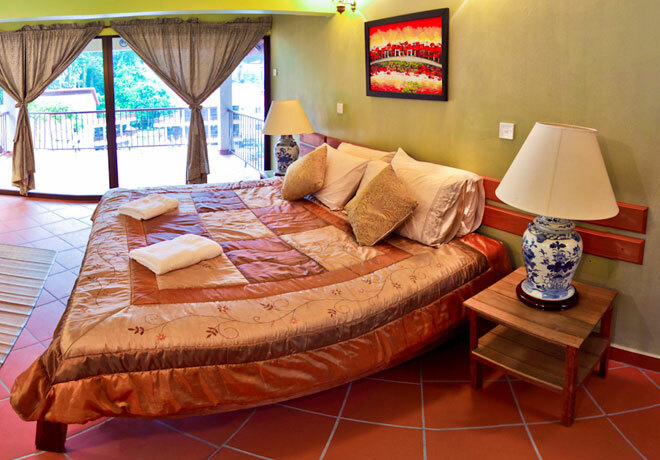 Most of the room has a king size bed and features a large private balcony with a hammock and a picnic table overlooking the swimming pool, a view of the sea, and the jungle. Also the room come with a daybed, the perfect spot to chill out at leisure, laze away the hours with a good book and a cool drink, or simply daydream. Room Facilities : Mini-bar, Hot Shower, LED TV, Air Conditioning, Satellite Channels, Bathroom, Large Daybed, Picnic Table, Hammock, Complimentary Wi-Fi, In-room Safe, Hairdryer, Large Private Balcony, Coffee and tea-making facilities.